Build a salesforce that scales with AI-assisted coaching. 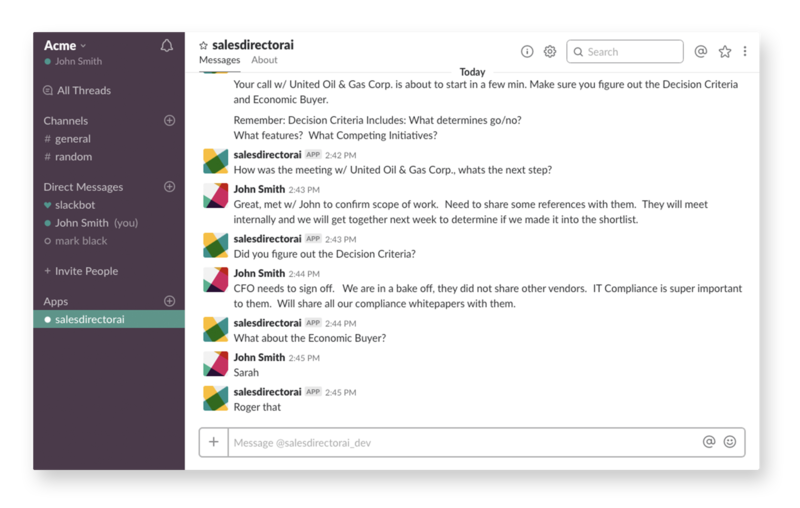 Coach reps to success with timely SMS and Slack reminders for your company’s best practices, like identifying economic buyers, decision criteria and next steps. Our AI understands your sales process and sends reps best practices based on historical patterns around cycle times, conversion rates and current buyer interaction. 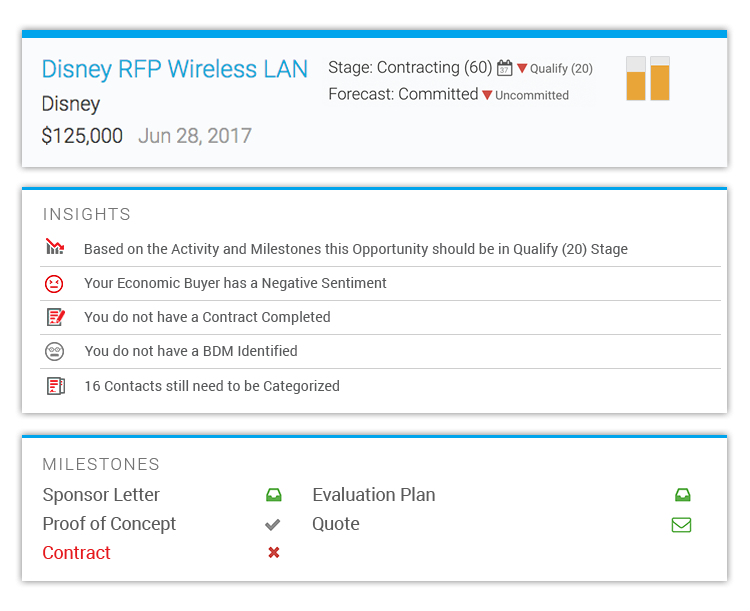 Keep deals on track with proactive reminders and performance digests. 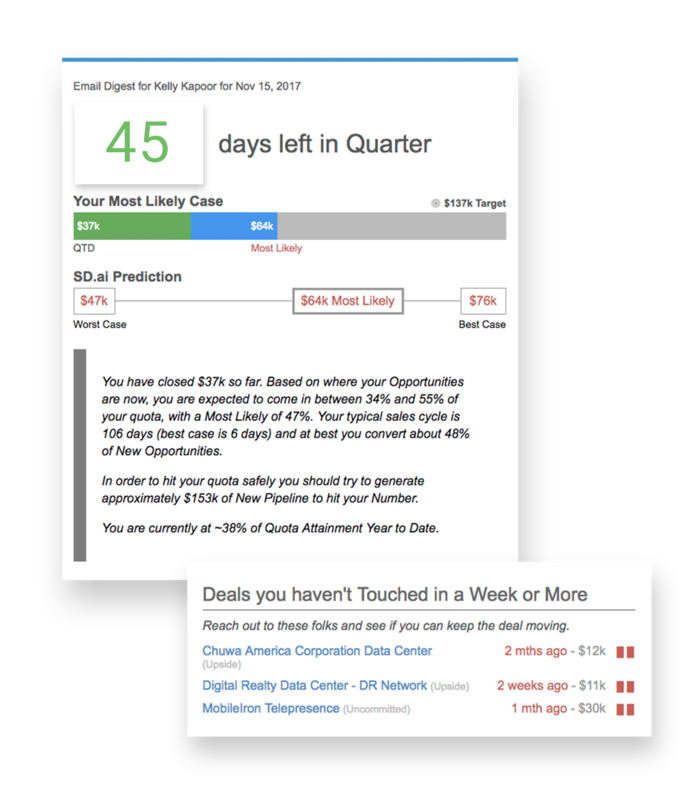 Send reps predictions on their forecast and actuals, % attainment, where AI predicts they will end the quarter, deal risk and more. 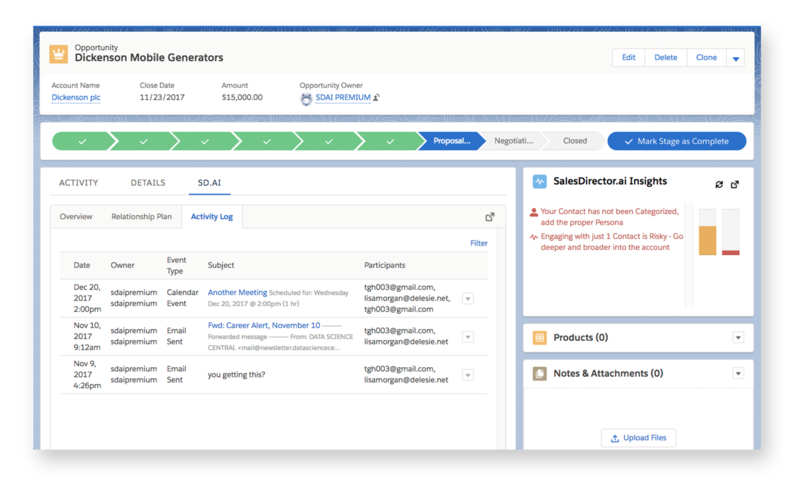 Access SalesDirector.ai’s powerful AI tools and insights from right inside Salesforce and Microsoft Dynamics.